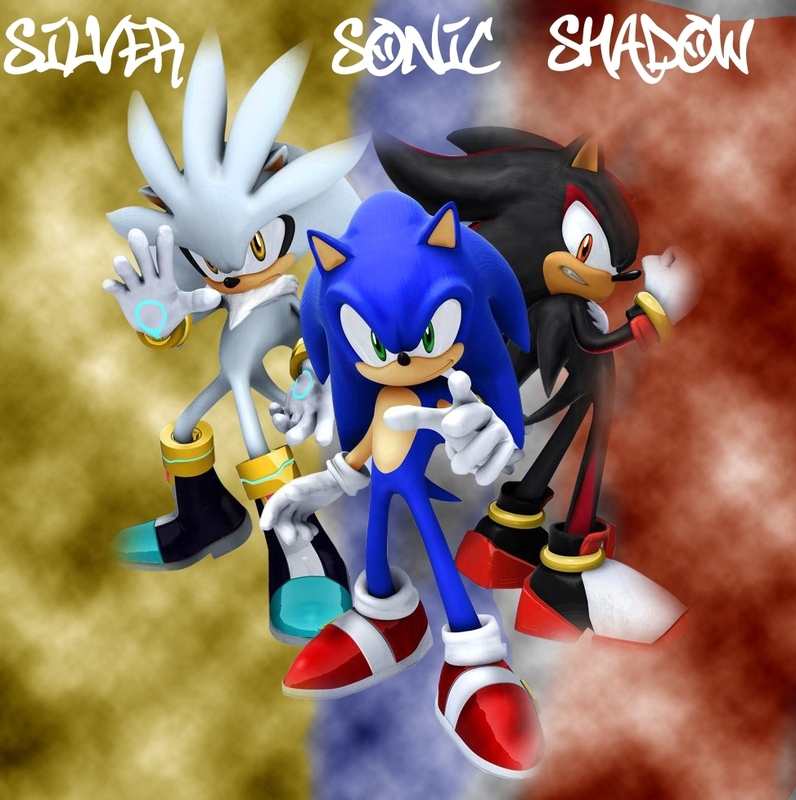 sonic,shadow & silver. if tu like the wallpaper,so SEGA is cool xD. HD Wallpaper and background images in the shadow el erizo club tagged: sonic friends shadow the hedgehog. YAY i LOOOOOOOOOOOOOOOOOOOOOOVE THESE THREE!!!!!! OOOOOOOOOOOOOOHHHHHHHHHHH MY GOD SHADOW IS MY MAN AND SILVER CAN BE MY B-FRIEND NOT BLAZE. they never move their ears!